Happy Friday friends! We had the most beautiful week here in Boston with the weather cooperating every single day and I was happy to take my gym sessions from inside to outside. The nice weather also helped the week fly by and I'm ready to enjoy the weekend! 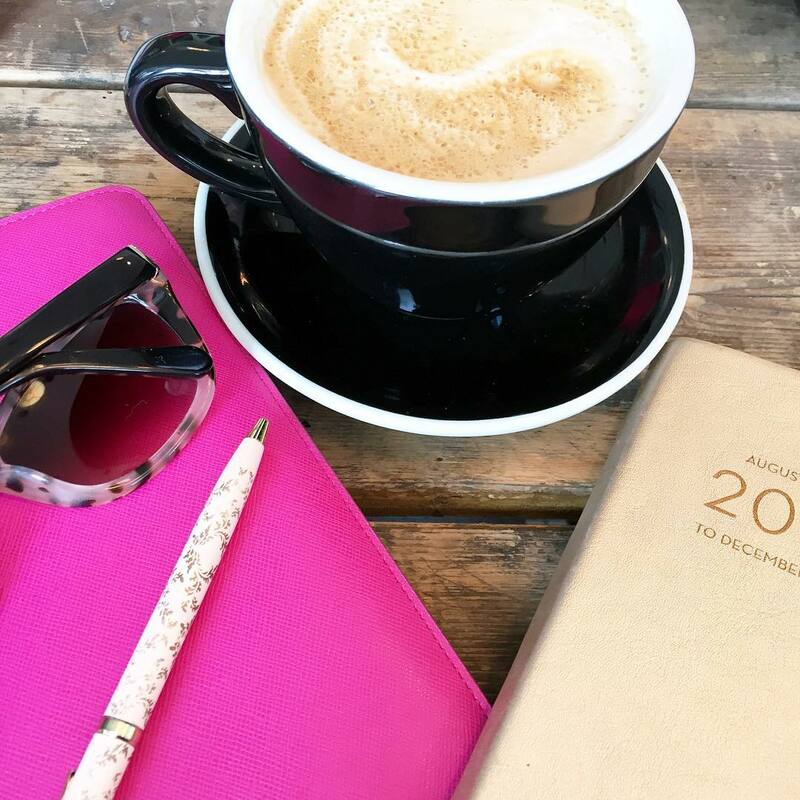 Sharing my favorites in a different layout with 5 things I'm loving & 5 links I loved reading this week, still linking up with Amanda. 1. My sister treated me to this whipped argan oil face butter by Josie Maran and the name says it all - it's like buttah! It glides onto your face and isn't sticky or heavy! When you wake up in the morning the product has sunk in, but your skin feels smoother. Loving it! 4. I haven't been able to wear heavy earrings for quite some time - my left earring hole seems to have stretched from years of wearing really long / heavy earrings - so studs and smaller earrings have been my best friend. 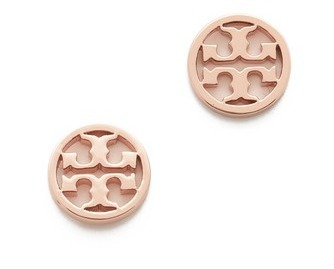 I recently bought these Tory Burch Logo Studs and I love them so much!! They are so similar to a pair I lost a couple years ago! Also, if you have the same stretchy earring hole problem as me - have you tried these? If so, do they work? 5. 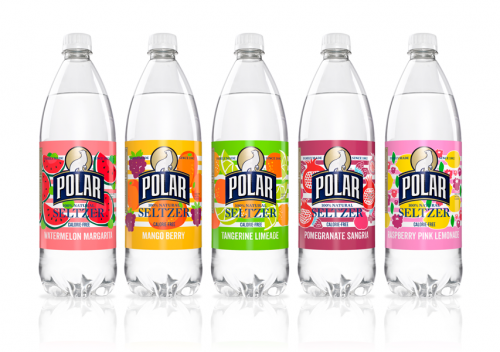 Polar Seltzer Limited Edition Summer Waters came out a few weeks ago and my favorite flavor by far is the raspberry pink lemonade. They are similar to La Croix waters, but if you're looking for some fun new flavors these are perfect for summer soirees! //Makeup tips for those annoying mistakes //Proof that celebrities are just like us when it comes to breakups - or do they get "their people" to do their dirty work? // If my home office looked like this, I'd never leave! // Is the pink drink from Starbucks worth the hype? Apparently the answer is YES! // If you love James Corden from Carpool Karaoke, then you have to watch his 73 questions interview with Vogue That's all folks! 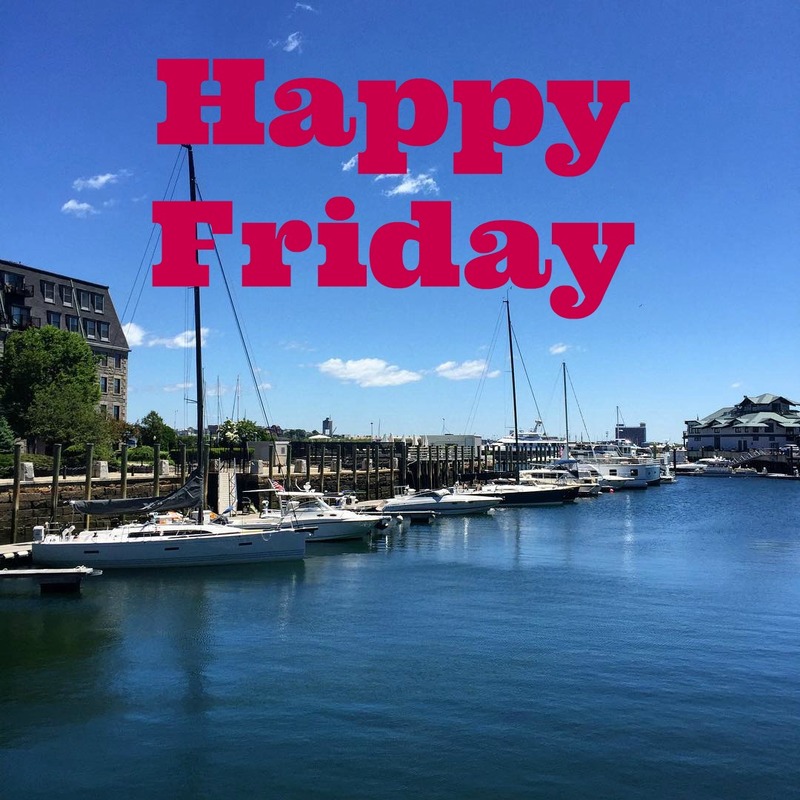 Hope you have a great weekend and see you back here Monday for Weekending! That face butter sounds amazing! I'm struggling to find a nice face cream at the moment- they all seem to leave my skin feeling sticky and sweaty rather than smooth and soft, so I'll have to keep an eye out for this one. Josie Maran Creams are my favorite. I've been wearing the whipped body butter everyday this summer!!! Gouda chips...heck yes!!! Oh that home office..yep, I'd sleep in there, lol. Happy weekend gorgeous!! Happy Friday! Those chips sounds AMAZING! And I have the avocado tool, too, although I can't seem to make the pit part work for me! Those avocado slicers are amazing! I love easy kitchen tools like that! I posted a huge list of them on Tuesday for all fruits and veggies :) They are so handy!! Those chips look really yummy too!! Have a great weekend! I saw these smoked gouda chips on your Snap and I was dying to try them! I'm headed to the grocery store tomorrow so I will look for them. I doubt they will last very long in our house either! Have a great weekend! Hmmmmmm I didn't know this pink drink existed but now I'm intrigued and I have to add those chips to the next shopping list! Yum those chips sound amazing!! Cape Cod definitely makes the best chips but I've never had the gouda flavor before so I'll definitely have to buy them the next time I see them! Happy Friday friend! I don't know about the Lobe Wonders you linked, but I but Bling Guard for HSN and they are great! We also recently brought in Levears, and though they are a little more pricy (I have the sterling silver ones) I wear them EVERY day and they make my ears so much better! I love those earrings! And I'm totally planning on trying the pink drink from Starbucks this weekend. I hear it's absolutely delicious! The Tori Burch studs, the chips, the Josie Maran...I want all of them! I tried a strawberry acai refresher with coconut milk the other day! So good! Have a wonderful weekend! I use Josie Maran argan oil every night and I swear by it--I'll have to give this moisturizer a try! And now I'm super tempted to run out and try that Starbucks pink drink--looks kind of like Pepto Bismol...but in a good way haha. Happy Friday girl! I bet that face cream is super hydrating! I swear by that avocado tool. It’s one of my favorites! That argan face butter got my attention! Thank you for sharing lists! That raspberry pink lemonade does sound delicious!! I've had a couple of friends tell me to try the pink drink and I just haven't been to Starbucks since the craze started but it's on my list this weekend! Lol I agree, guac knows no season! I want to try the pink drink & the purple drink ha. I need #1. Josie Maran never does my wrong, so I can only imagine! Love those studs. Too cute! ANd it's her bday today! Will always be a Josie Maran fan!!! Loooove love love those TB studs! Need to def look into those!! I've been loving seltzer water lately too. I got some La Croix Kiwi Watermelon ones this week and am eager to try them! Love the studs you got, and those chips sound amazing! I need to find these!! I've been eyeing up a pair of Tory earrings for a while. Those are super cute. Love those TB earrings. I have been wearing my studs more and more. The weather has simply been amazing here. Let's hope it stays that way. We know it could change at any second, haha. Great links this week! Have a wonderful weekend. And now I need an avocado slicer right now. Haha. Those earrings are beautiful!! I love the color of them! That avocado slicer is genius, I need one! You know, it can be a hit or miss with these kind of hacks. I got a little avocado shaped container that was supposed to keep them from going bad and it didn't work at all :( This, seems so practical though, I need to keep an eye out for it! Also, those Seltzer waters sound amazing, I need to give them a try! 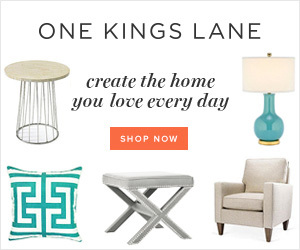 I loved Anna With Love's home office, the colors are SO pretty and I adore the decor! I seriously laughed about the whole Taylor Swift situation. They ARE human, so it shouldn't be surprising, yet I must admit it is, haha! Let's expect a new album out soon, haha! 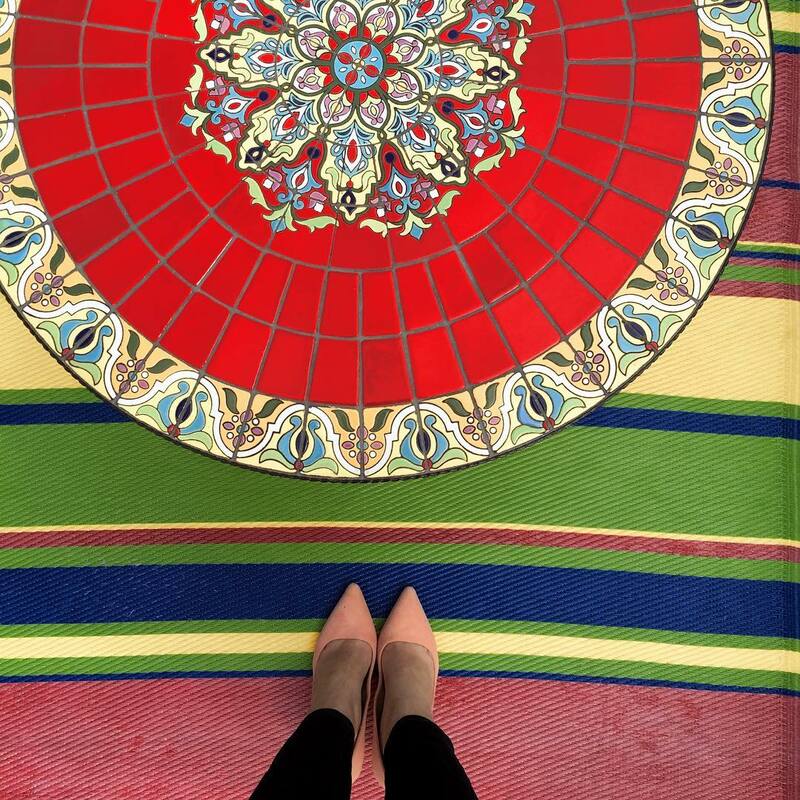 Thanks for sharing, beautiful, and I hope you have a wonderful weekend! That face butter sounds amazing!! Happy Friday! Those earrings are too cute! Hope you have a great weekend! Totally agree, it's always guacamole season! Those smoked gouda chips look so delicious! I'll have to see if I can find them near me! I also love those Tory studs! I have the same problem with wearing too heavy of earrings for so long. The pink drink from starbucks just does not sound like something that would be good, buut at the same time I'm tempted to try it because everyone keeps raving about it. Sparkling raspberry lemonade sounds delicious! Ok ok ok I need to get those chips!!! I remember seeing them in your snap and then I forgot. How dare I? 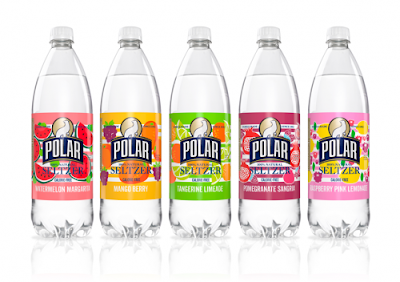 The Polar Seltzer sounds good too! Love a refreshing sip in the summer. I love argan oil so I will have to look in to that whipped butter. Have a great weekend! I love those earrings. I would love to try that face cream. Especially if your face doesn't feel greasy or heavy after it. Have a great weekend! That face cream looks wonderful and so do those earrings! I love smoked gouda so I'll keep an eye out for those chips!! I so need that avocado tool - I loose half of my avo when I try to get that pit out. Those chips sounds amaaazing, as does "the pink drink", I need to make way to a Starbucks now! ALL the yes to the avocado slicer! I didn't even know that these existed! I'm heading over to Amazon to put one in my cart now! 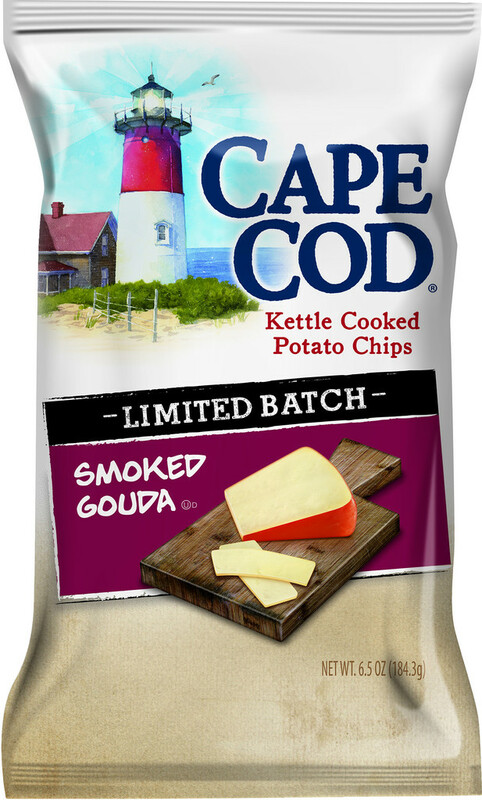 That Cape Cod Smoking Gouda is calling my name... yum! What a cool tool!! I LOVE anything avocado, but finding cutting and pitting them can be so time consuming. Thanks for sharing! That avacdo tool sounds so helpful! I need it! I also need those Gouda chips! Yum! 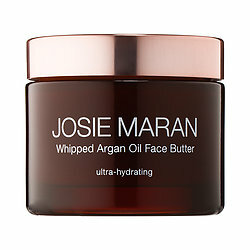 I love Josie Maran and that whipped argan oil face butter sounds fantastic! 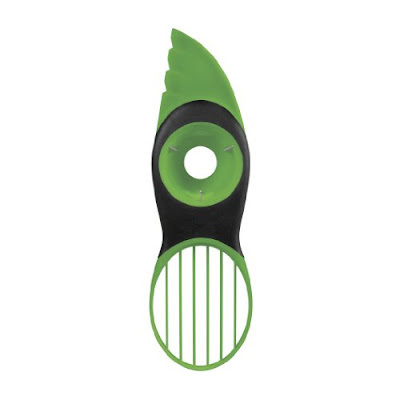 Gosh, I love Avocado and the avocado slicers are amazing! I need that avocado slicer! That's awesome! I saw your snap of the chips..I love that brand, so I have to find the gouda ones and try them, sound yummy! Enjoy your weekend girl! Oh I'll have to try those seltzers! I usually stick to lemon and cranberry lime, but those look yummy! Love those earrings, I've never been a big fan of dangling earrings because I'd always get them caught, and now with Sophie they just get in the way, but those look good the supports. The pink drink from starbucks definitely looks worth it, haven't gotten it yet though. I love Josie Maran! They don't test on animals and the products are so high quality and luxurious. I love the light argan oil! I cant wear heavy earrings either because of a stretched hole. Sometimes I think of having it stitched up (that's a thing apparently) but I am so fearful of doctors that I put it off. I need to know more about that avocado slicer! Studs are always my favorite - so comfortable and cute! Love those Tory ones! I will be purchasing those chips this weekend! Loving those Tory studs! Have a great weekend! Awww I miss Polar seltzers and that big Polar bear at the bottom of the hill in Worcester :) That avocado slicer looks so cool. I saw that on an episode of The Kitchen on Food Network, and I've been intrigued ever since! Have a great weekend. I need that avocado slicer, such a neat tool! I also need to try the highly talked about Pink Drink...hope you have a wonderful weekend! That avocado slicer is genius because of how tricky they are to cut open and de-seed. I will have to get one myself b/c I love to put sliced avocado on salads or even for breakfast. Smoked Gouda chips? Those sound delicious and I somehow missed your snap about it. i have the same avocado tool and it's so good. i use it all the time! yessss to summer polar flavors! I'm loving the Polar flavors right now too- my fave is Watermelon Margarita, but the Lemonade is a close second :)Happy weekend! Those chips... NEED to try them! Or maybe I shouldn't... haha. :) Cape Cod chips are the only chips I can't say no to. I would love to try those waters too. I'm HOOKED on La Croix, but maybe I need to switch things up a bit. Have a great weekend! Omg! seltzer water + summer = happiness. Great post! Ohh, these were fun!! Love the earrings . . . I generally love Tory products! And we are hooked on La Croix over here so I'll have to try the new Polar seltzers! Yes, the pink drink is totally worth the hype! It is so refreshing especially to this preggo! I'm terrible at cutting up an avocado so I'm definitely adding that to my amazon wishlist! I've got to try this pink drink I've been hearing about!!! So many great things in this post, thank you so much. The number one thing I need to try and buy are those ear lobes because my ear lobes have stretched badly. Also, those waters sound great. The raspberry lemonade would probably be my favorite. And now you got me really interested in trying the Pink Drink from Starbucks too.